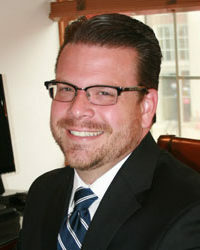 Born in Riverton, Wyoming in 1978, Mr. Pegram moved to Missouri where he later attended Southwest Missouri State University, and then St. Louis University to finish his law degree. He was admitted to the Missouri bar in 2004. Mr. Pegram primarily practiced civil law in St. Louis before relocating to St. Francois County to work at Colson, Colson & Pegram from 2007-2011. In 2011 Mr. Christopher Hartmann and Mr. Pegram joined practices and continue to serve the citizens of St. Francois County, and the surrounding counties, as The Law Office of Hartmann and Pegram, LLC. 15 years since Seth A. Pegram was first licensed to practice law.